. . . National leaves everything to its local branch, to simply vote up the candidate they like. They vote in complete isolation from the broader needs of the party – they focus only on their area. A simple vote in a single seat election like this (the “seat” here is the right to stand for National in a particular electorate) is well known to advantage males. It is a lowest common denominator effect, where a male candidate – by virtue of entrenched mental images of what a “typical” MP look like – is more likely to be the one that the fewest people object to. As a psychological level, candidates who in any way represent a change to the status quo face an uphill battle in a single-seat election, as people who have no reason to object to the status quo (through either disinterest or design) feel some level of threat. . .
How could anyone think a typical MP looks male in the 21st century? We’ve had two women Prime Ministers, several other female co-leaders, lots of women ministers and MPs. We’ve also had and have MPs of both genders of a variety of ethnicities. If there ever was a typical MP look-alike there is no longer. 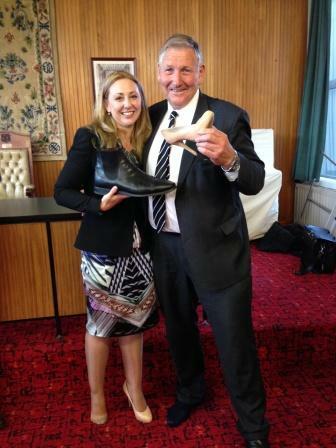 Taranaki King Country candidate Barbara Kuriger looks very different from retiring MP Shane Adern. Both women were selected in a transparent and democratic process by members in the electorate. And while both look very different from the men they are working very hard to replace they do share their National Party values, commitment to their electorates and strong desire to serve them well. The problem with gender balance is not National’s fair and democratic selection process. As a party insider I can say unequivocally that there is no preconceived notion of any typical MP look-alike among members. In any selections I’ve been involved in, delegates didn’t care about gender they were seeking to get the best people for the job. One reason other parties have a better gender balance is that they have more list MPs. Good list MPs work hard. But electorate MPs have less choice about the demands on their time and energy and women who want a more active role in parenting can find it too difficult to balance them both. Parliament and life as an MP aren’t family-friendly. Improving that would do more to help attract more women than reducing democracy within the National Party.